I instantly fell in love with flower crowns the first time I laid eyes on them. They have such a whimsical and feminine style, and remind me of childhood fairy tales. 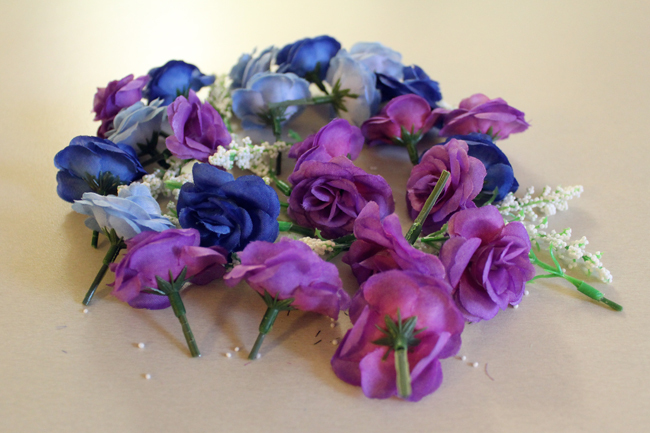 Although there are some great online stores out there that sell beautiful flower crowns (KisforKani, Roses&Clementines and Crown&Glory, just to name a few of my favourites), I decided to get crafty and make my own crown for a 21st party I attended over the weekend. You will need: 1. 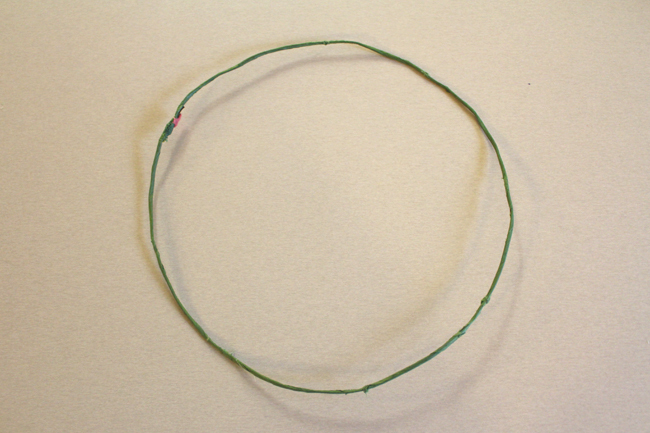 A crown base (You can make your own with floral wire, use a thin headband, or use an old crown like I did). 2. Some fake flowers. 3. A pair of sturdy scissors. 4. Floral tape (I got this from my local 'everything' store; craft stores should have them too). The first thing you need to do is make your base. 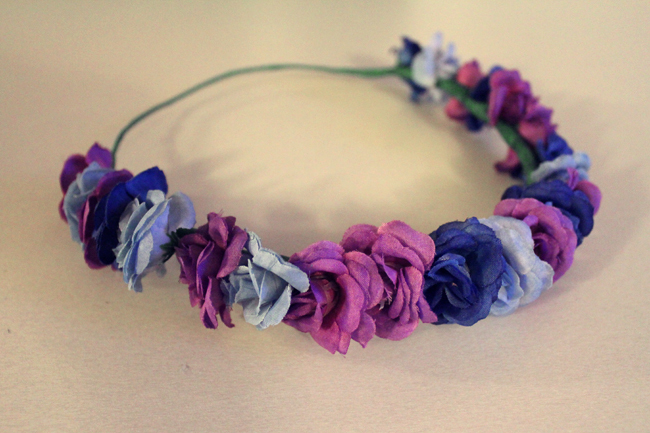 For me, that involved hacking away the existing flowers on an old crown that I don't wear anymore (RIP flowers). 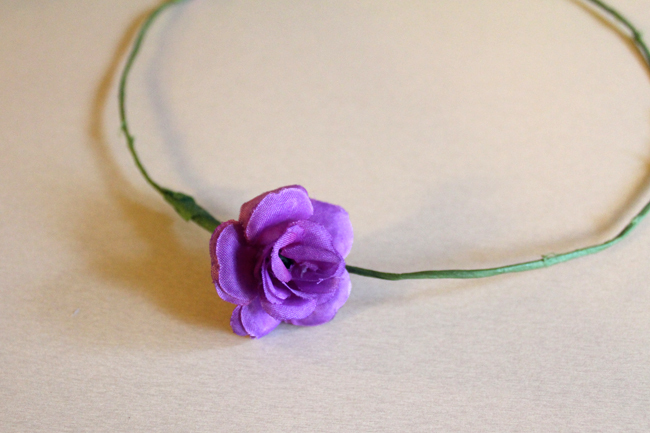 If you're making one from scratch, wrap the floral wire around your head until you get the desired fit, then cut 1.5 times that length and twist the excess wire together. Check the fit again and adjust as necessary. 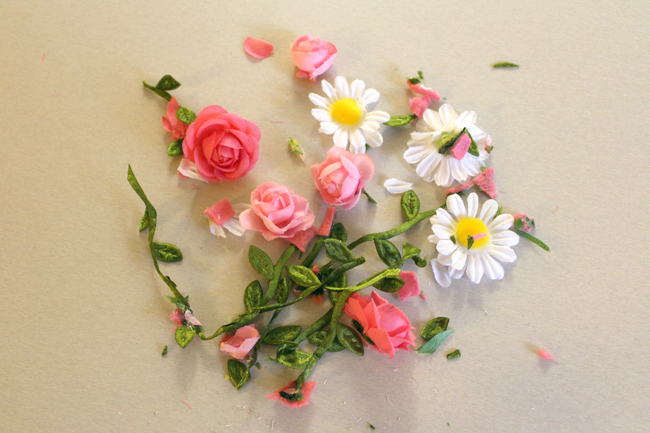 Cut the fake flowers from their stems. This can be tough so make sure your scissors are up for it! Make sure to leave about 3-4cm of stem to work with. (I also cut off some of the white buds that came with the fake flowers but I didn't end up using them). 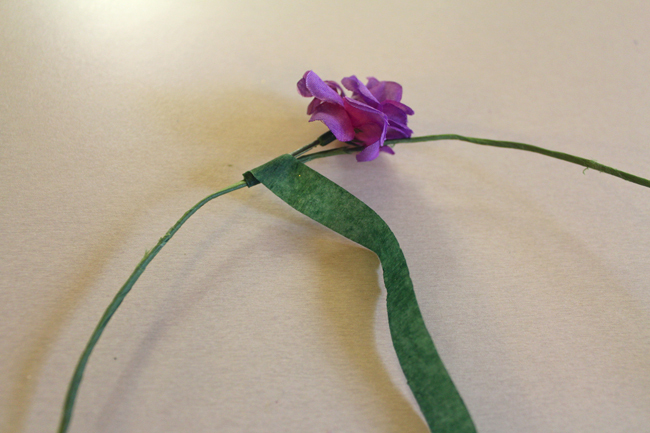 Take a long piece of floral tape (about 20cm) and start wrapping it around the stem of a flower and the crown base. 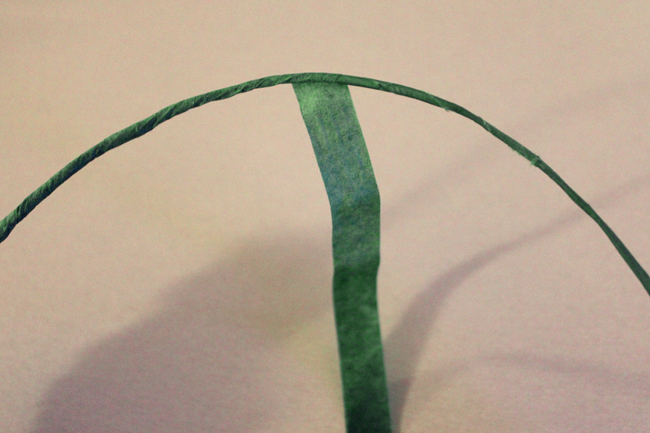 Keep wrapping your way up and down the stem until you use up all the tape. Make sure you're pulling the tape relatively tight as you go. Tadaa! One flower nice and secure. 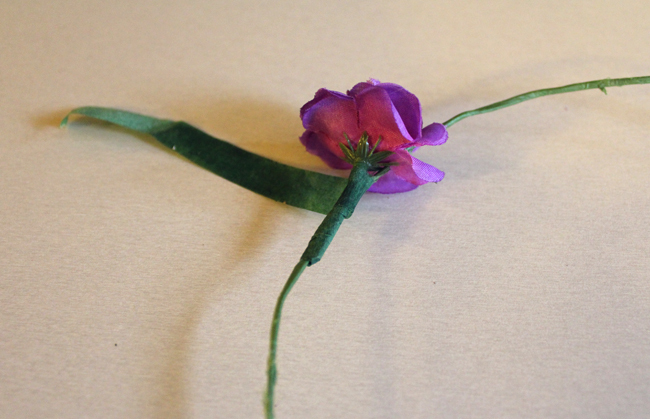 Now place the next flower on top of the wrapped stem of the first one and start doing the same thing again. Make sure that you're wrapping the tape in the same direction as the first flower. After a few more flowers..
You can either choose to wrap flowers all the way around the crown, or stop at a point and leave the back empty. If you decide to go with the later, just wrap floral tape around the exposed wire to make everything neat and tidy. If you're using a headband, leave the ends (i.e. 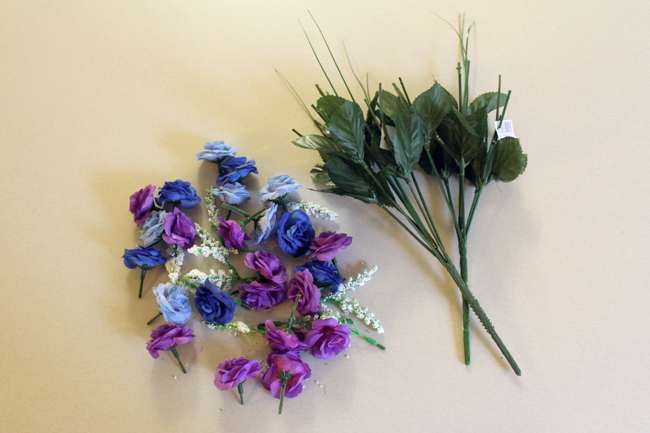 the parts that sit behind/above your ears) flower-free. And you're done! 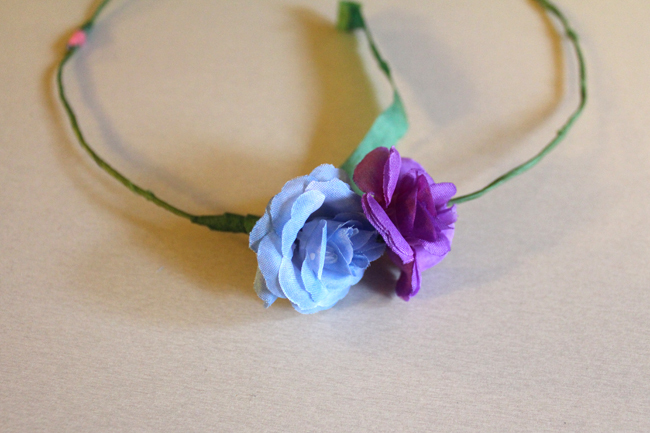 A gorgeous little flower crown that's perfect for your next party, picnic, festival or just when you want to feel pretty. As Spring is slowly but surely approaching the Southern Hemisphere, I'll definitely be making more of these! I can't wait to experiment with different flower sizes, colours and foliage to see what combinations I can come up with. This is way too neat. I've seen flower crowns around for ages, but I still think they're a timeless piece. I'm too conscious to wear them out though! this is so pretty!! I want to make this now! I always love wearing floral crown and urs are so beautiful! 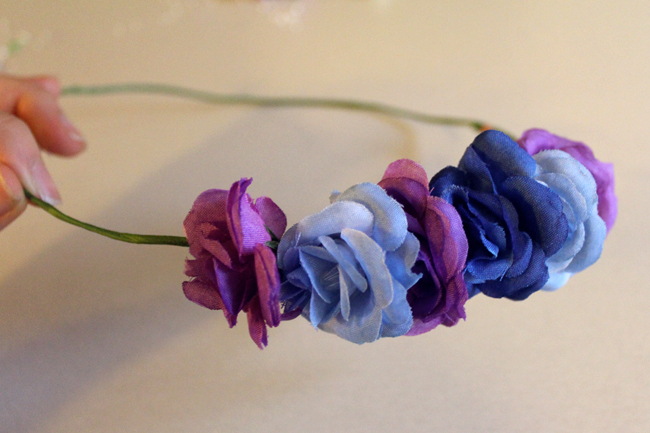 omg yes my sister and i are obsessed with making floral crowns, we have like a mini collection hehehe! This is the cutest! 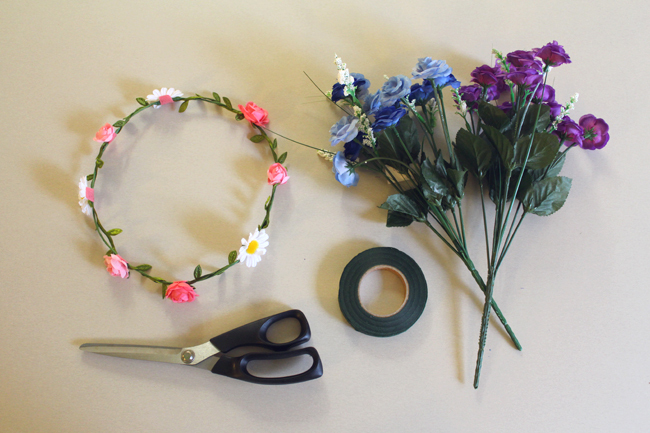 I'm always lusting after Kani's flower crowns and now I can make my own thanks to you! I actually have an exciting little project coming up concerning hair accessories and flowers, so I'm holding out until my supplies get here so I can get started! Cute! I'm going to a music festival in a few weeks so I'll have to follow your tutorial! So pretty!! I want to make one too! By the way, I want to invite to attend my first giveaway! Giveaway Here It will be nice if you can join =) You can let me know if you want a follow back after attending the giveaway! Love these. 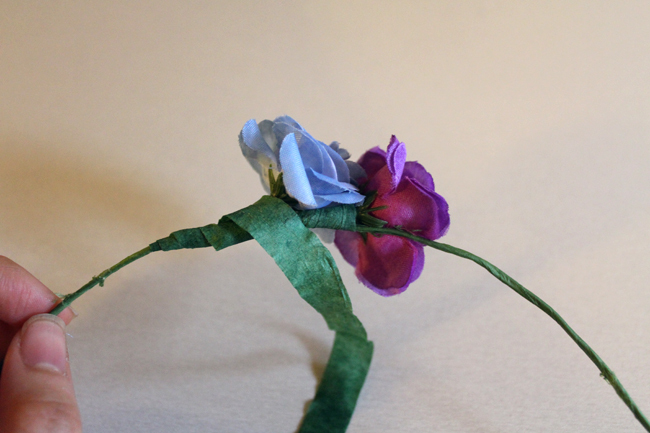 I bought a heap of fake flowers once to make these. Now the study is littered in flowers, wire & glue gun sticks. Yours turned out nice though. Thanks for sharing! Going to try this DIY! Your blog is gorgeous! Now following! Amazing! Why isn't there a picture of you wearing it? :) <3 You would definitely look gorgeous in it! Looking forward to more of these!